Oh em gee, people, I have a super fun book to share with you today. 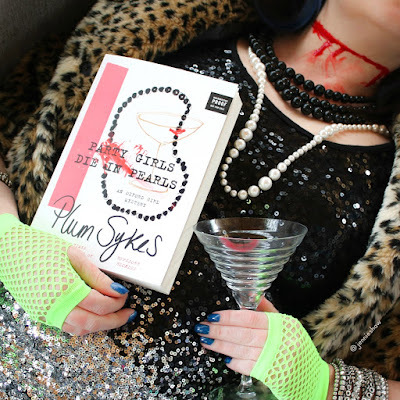 PARTY GIRLS DIE IN PEARLS was pitched as Agatha Christie meet Clueless and it absolutely delivered. 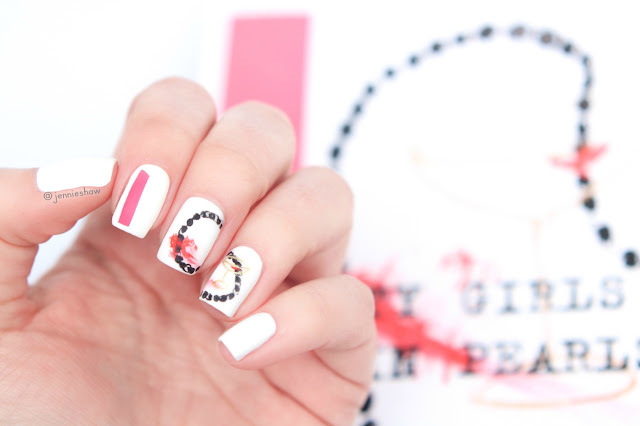 A throwback to traditional mysteries, PARTY GIRLS DIE IN PEARLS presented posh, British 1980s vibes in full technicolor. Whenever a metallic item of clothing appeared, my heart grew one size larger until I feared it would explode. (Spoiler: That didn't take long. Haha!) Ursula Flowerbutton had me at her last name (and also her first, if I'm being honest, because I'm a fan of The Little Mermaid) and she quickly became a force to be reckoned with, so now I'm officially obsessed. Like most mysteries from the 80s and before, the suspect pool in PARTY GIRLS DIE IN PEARLS was about the size of Lake Ontario--significant, but manageable--and the cast of characters had large personalities, written to perfection. The dry humour made me chuckle, as did the soap-opera style drama, where reactions were endearingly over-the-top. In particular, Horatio the Oxford gossip reporter, stole whatever scene he appeared in. To the point that I felt a strong urge to jump into the book and be his best friend. Ursula's other friends included fellow students, but she quickly gravitated towards Nancy Feingold, who made for an excellent BFF partner-in-crime(solving). Her brash American-isms and extensive designer wardrobe softened Ursula's sharper edges, along with getting her into the very parties Ursula needed to attend in order to gather evidence and have some fun. Ursula was more of a prickly sort and I'm happy she had a counterpart to balance her out. Aside from the great characters and smart writing, there was another, fairly random element that made PARTY GIRLS DIE IN PEARLS such an enjoyable romp. You know the sorts of books where the environment becomes its own character? Well in this case, it was champagne, which I know sounds insane but hear me out. As the mystery unfolded, champagne basically became an independent protagonist and involved itself in everybody else's business. No matter what happened, champagne was in attendance. I'd even argue that without champagne, there wouldn't have been a plot, which makes total sense while also making zero sense and I'm laughing as I type this because what does that even mean? For real. How can a beverage become a character? Or play such a huge role in a mystery? 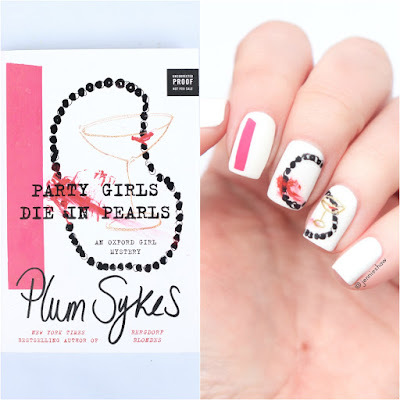 You'll have to read PARTY GIRLS DIE IN PEARLS to understand the awesomeness, so after you burn through it, please shoot me an email to let me know I'm not alone in this belief. Haha! 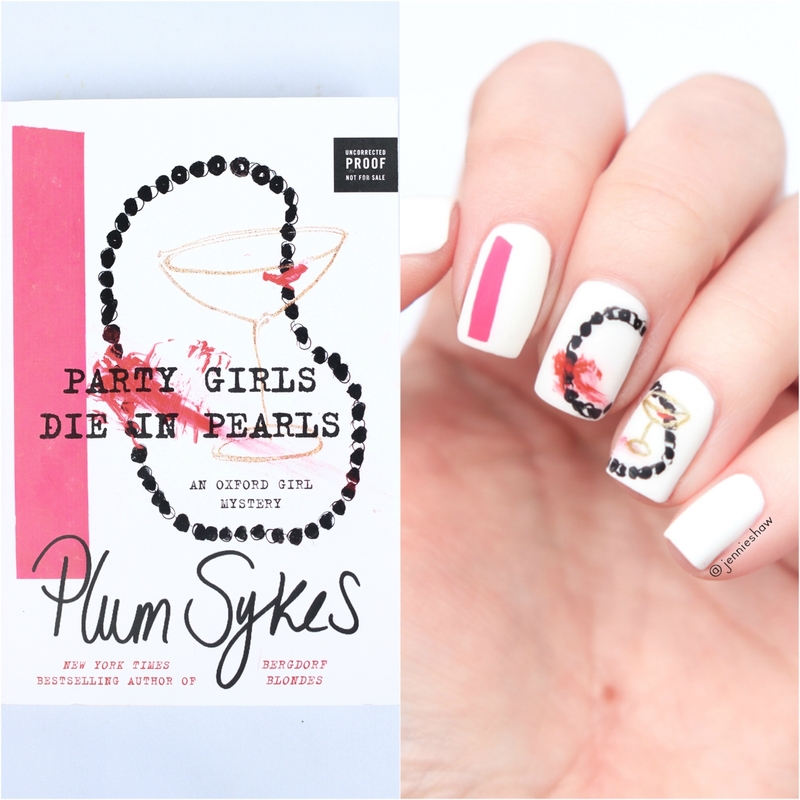 As much as I really liked PARTY GIRLS DIE IN PEARLS, there were also a couple of things that irked me. I found the ending to be rather abrupt, which was a minor bummer, and the trail of clues were occasionally too convenient. That said, those two issues won't stop me from picking up the second. I need more Ursula and Nancy! (And Horatio, of course.) And you do, too. So get yourself a copy as soon as possible. If you have a vacation coming up, this is a perfect choice. And hey, if you really want to up your reading experience, have a bottle of bubbly on hand. It'll add a certain realness to the story and any excuse to drink champagne is a good one, right? Haha! Big thanks to Harper Collins Canada for a review copy!